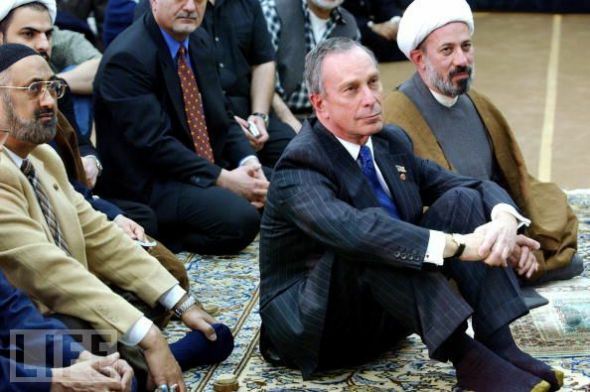 Michael Bloomberg, in addition to having been Mayor of New York City and currently being a wealthy elitist Leftist, has ongoing ties to the Islamic world and Qatar. In fact, many of his regulatory moves and his philanthropy efforts are connected to one degree or another with Qatar and Islamic nations, causes and endeavors. Qatar, the reader should be reminded, is the host country of the Muslim Brotherhood and is the primary supporter of the Arab Spring, including the genocidal Islamic State. Common Core is a huge, Progressive educational implementation in New York City which benefits Microsoft and a host of other businesses. 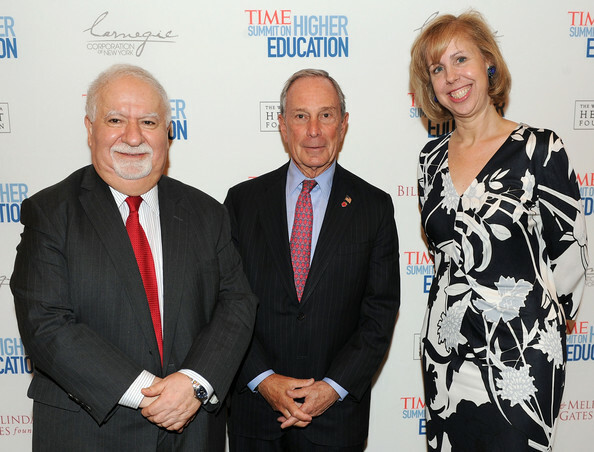 Bloomberg is a major supporter of Common Core and strongly believes in it. So, incidentally (or not), does Qatar. One of Bloomberg’s projects is the Fund for Public Schools, whose primary building block is Common Core. In 2013, Bloomberg Philanthropies donated $1,000,000 or more to this endeavor. George Soros and The Open Society Foundations also donated $1,000,000 or more. Qatar Foundation International, LLC donated somewhere between $100,000 and $499,999. The Qatar Foundation donates to educational causes that directly benefit Islam and Qatar. The Qatar Foundation for Education, Science and Community Development is a semi-private chartered, non-profit organization, founded in 1995 by Sheikh Hamad Bin Khalifa Al Thani, the Father Emir (the current Emir is His Highness Sheikh Tamim Bin Hamad Al Thani), and his second wife Mozah bint Nasser Al Missned. In addition to private funding, it is government-supported and partly government-funded. The links between Bloomberg and the Qatar Foundation go even deeper. Vartan Gregorian and Michael Bloomberg attended the TIME Summit On Higher Education at the Time Warner Center on September 20, 2013 in New York City. This is significant on multiple fronts. Common Core is linked to Connect All Schools. The Department of State has partnered with the Connect All Schools program which is linked to Vartan Gregorian. He in turn, is connected in a myriad of ways to Barack Obama, not the least of which is that he is a member of the White House Fellowship Commission. Gregorian hails from Tabriz, Iran and is currently the President of Carnegie Corporation. More interestingly for Bloomberg is that Gregorian sits on the board of the Qatar Foundation International (QFI). In 2012, the nonprofit provided $250,000 for a three-year pilot project for Arabic language at P.S. 368 in Harlem, reports DNA info New York. The classes are voluntary this year, but next year, * all second through fifth grade students will be required to take Arabic as part of the curriculum. It should be noted that Arabic grammar is based on the Quran and its verses. When studying Arabic grammar, there is no substitute for studying the Quran. Expecting that the Quran would not be a part of Arabic lessons, is akin to saying that the time-tested grade school “Speller” could be omitted when teaching English. Michael Bloomberg was also a supporter of the Ground Zero Mosque (the Cordoba House, which is now Park51 – a three story museum with a worship space). The Cordoba Center would have been a 13-story monument to Islam, that would have housed a bookstore, auditorium, basketball court and a mosque. It would have cost well in excess of $100 million. It was to be built on the site of the former Burlington Coat Factory, whose roof was destroyed by falling debris from the towers on 9/11, just 600 feet from where the towers stood. Set to have replaced the current al-Farah mosque located 12 blocks north in Tribeca, the project was the inspiration of Imam Faisal Abdul Rauf, whose father built the enormous 96th St. complex in 1984 and who proclaims himself a peacemaker. The Center earned endorsements from then New York Mayor Michael Bloomberg and prominent rabbis, along with funding from the Hunt Alternative Fund, the Carnegie Foundation, the Rockefeller Fund (whose director of grants programs, Taleb Salhab, founded the Coalition for Peace and Justice in Palestine and is the former director of the Palestine Aid Society of America) and the government of Qatar. On the 10th anniversary of 9/11, Bloomberg refused to allow clergy to attend the event. He also did not want the names of those murdered on that fateful day read and he banned first responders on the same anniversary. All in the name of not offending Muslims and Islam. Bloomberg has also notably instilled variants of Sharia law in NYC via allowing exceptions for prayer times regardless of job affiliation. The Call to Prayer rings out in Manhattan these days as well and the number of mosques in NYC has literally exploded over the last few years. Many of which receive funds from Qatar. Bloomberg has offices in Doha and across the Middle East. In fact, Bloomberg and Qatar are financially connected in many ways. Witness the Bloomberg Doha Conference. The focus of the joint conference in the past was on the condition of various industries in Middle Eastern countries. The topics of discussion included the state of the economies in these countries, the condition of oil and energy production companies, and industries and companies most suitable for investment in, among other topics. This year, the Bloomberg Doha Conference will take place from November 3rd through the 4th in Doha, Qatar. The conference will cover areas such as setting the agenda; the global perspective; regional landscape; transition of power; the new Qatari leadership; a conversation with Sir Michael Hintze; Islamic finance; real estate; Saudi energy markets and geopolitics; Iran, Syria and regional political stability; asset allocation; where are the opportunities in the region; traditional versus alternative, wealth preservation for the new generation; World Cup spending and development; regulation and the role this plays for managers looking at the region; investment destinations outside the Middle East and following the money. All of this indicates a strong, intrinsic financial and strategic relationship between Bloomberg and Qatar. NEW YORK & DOHA, Qatar–(BUSINESS WIRE)–Qatar Central Bank (QCB) and Bloomberg LP are partnering to launch the first ever Qatar Interbank Offer Rate (QIBOR) fixings in a move aimed at encouraging a more active interbank market in Qatar, executives announced today. Interbank rate fixings are used around the world to provide a daily reference point for banks borrowing unsecured funds from other banks in the local wholesale banking market and this announcement brings Qatar into that market for the first time. QIBOR, which will use the contributed offer rates quoted by nine panel banks, will be calculated by Bloomberg and published on the QCB website and the Bloomberg Professional® service (QCBQ <GO>) beginning on May 6th at 10:00 a.m. Doha local time and each subsequent business day at the same time. QIBOR fixings for eight different time maturities ranging from overnight to one year will be publicly available each day making market activity transparent to other banks around the world. The list of member banks on the QIBOR panel includes Ahli Bank; Al Khalij Commercial Bank; Arab Bank; BNP Paribas; Commercial Bank of Qatar; Doha Bank; International Bank of Qatar; Qatar National Bank; and Standard Chartered Bank which represent the largest local and international banks currently participating in the Qatar interbank market. 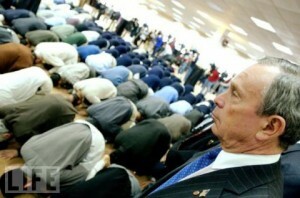 Additionally, Bloomberg has ties to the Muslim Brotherhood. In 2011, Saudi billionaire Prince Alwaleed bin Talal announced plans to partner with the Bloomberg news service to establish a new Arabic language news channel. Prince Talal’s donations to the Islamic Society of North America (ISNA) and the Council on American Islamic Relations (CAIR), both part of the US Muslim Brotherhood, as well as his support of the Georgetown University (for more on Qatar and Georgetown, see here) Center for Muslim-Christian Understanding (CCMU), run by long-time Muslim Brotherhood supporter Dr. John Esposito, are well documented. In 2008, an Arab business publication reported that Prince Talal had also made numerous financial contributions to a pan-Islamic interfaith dialog organization that is closely tied to the global Muslim Brotherhood and which has an anti-Semitic statement posted on its website. In March of 2008, the Kingdom Foundation established by Prince Talal was one of the sponsors of a conference held by the World Congress of Muslim Philanthropists (WCMP), a new international Islamic philanthropic organization with strong Muslim Brotherhood representation. So, to partner with Talal, is to partner with the Muslim Brotherhood. The U.S. should hang on to what differentiates it from repressive regimes like Putin’s, and lightly applied FARA legislation is one such differentiator. The U.S. government shouldn’t care who funds research, or sponsors events at which U.S. officials sit next to those from foreign countries. What matters is whether rival points of view also get a hearing. Wrong. You cannot use a monster such as Putin as cover to deal with other monsters such as Qatar and justify it as ‘differentiation.’ We should certainly care who funds our think tanks and rival points of view should not be considered when they come from terrorists and murderers. As we have seen in science, “funding” very much drives the conclusions of research; in the same way “funding” will drive the conclusions of conferences and think tanks. Crowing about the success of Bloomberg Philanthropies’ anti-smoking campaign in Turkey recently, he said that “Turkey is a great example, and it can be translated to other countries.” BP has been working with the Turkish government since 2009, when its nationwide public smoking ban first went into effect. According to the World Health Organization’s 2013 report on the “Global Tobacco Epidemic”–also funded by BP–smoking in Turkey decreased from 16 million adults in 2008 to 14.8 million in 2013. In Turkey, where terrorism reigns and encroaching and aggressive Sharia law continues to oppose basic human rights, Bloomberg is fighting a war on smoking. For instance, Turkey leads the world in imprisoned journalists. Ironic, since Bloomberg fancies himself the ultimate journalist and businessman. This is a country at the forefront of a rising Caliphate — one in which Christians and Jews are especially persecuted for their religious views. Bloomberg Philanthropies have spent over $600 million on tobacco control advocacy and research since 2007. Speaking to a group of anti-smoking activists in Turkey earlier this summer, Bloomberg joked that his philanthropy may win him a Nobel prize. Yes, because an award dripping in blood is a prized possession and all that. Bloomberg’s deep ties to Islamic tyrants, their countries and their money should disqualify him from being considered for any position related to national security, especially Secretary of Defense. But this is the Obama Administration and background checks are only for those that are politically unacceptable to the regime. Michael Bloomberg, who has no military experience whatsoever, was considered by Robert Gates as a possible Pentagon successor. Of course, Gates also considered Hillary Clinton, Colin Powell and Leon Panetta. All of them security risks, Panetta and his Marxist history won out and the rest is Progressive history. It is noteworthy that Gates was the President of Texas A&M when they established a satellite campus in Doha in 2003, completely funded by the Qatar Foundation. As for Bloomberg’s contributions to and the enforcement of the green movement in New York… Qatar and Bloomberg both push the faux emergency state of climate change. It benefits them both financially and in seeking global power shifts. Qatar, a major supplier of natural gas and to a lesser extent, oil, would rather see the world voluntarily starve itself of domestically produced energy. The ties that bind Michael Bloomberg, Qatar and radical Islam together are deep, murky and complex. As always… follow the money and the quest for power. You will find those such as Bloomberg cozying up to terrorist states such as Qatar for their 30 pieces of silver.